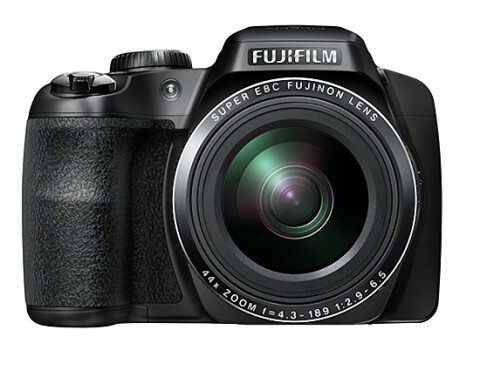 The Fujifilm FinePix S8400W is a bridge camera that has a powerful 44x optical zoom lens and a built-in Wi-Fi that allows an easy transfer og images to computers, tablets and smartphones. The 44x optical zoom lens gives a 35mm-equivalent focal length range of 24-1056 mm, that can be effectively doubled through the use of Intelligent Digital zoom. 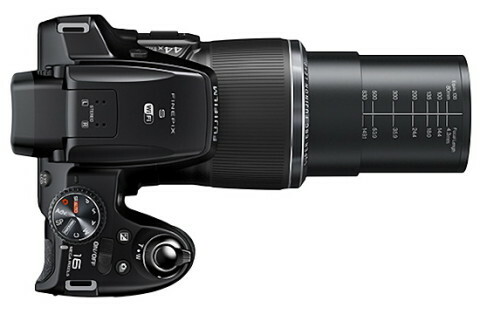 This lens also has a maximum aperture of f/2.9-6.5 and utilizes lens-shift type optical image stabilization. 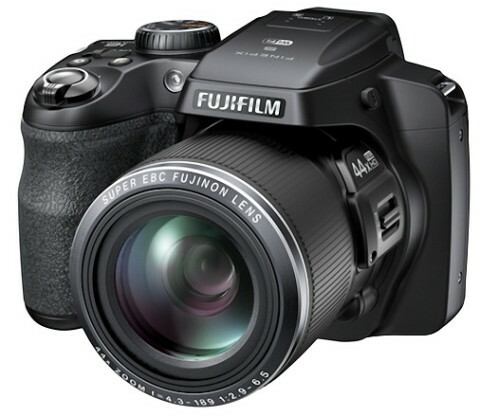 The Fujifilm S8400W is equipped with a 16 megapixel 1/2.3″ Back-Side-Illuminated (BSI) CMOS sensor that is able to deliver high resolution images and notable low-light performance. This sensor also helps camera to record full HD videos up to 1920 x 1080i in the H.264 format. Video playback is possible directly on an HD TV through an HDMI connection. Also present on the S8400W is a 3.0″ 460k-dot LCD monitor that provides a large and bright area, ideal for scrolling the images. 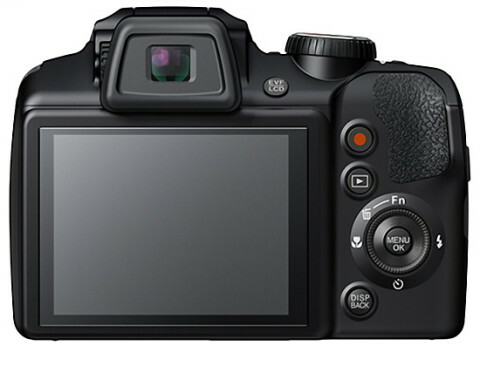 This bridge digital camera also features an eye-level electronic viewfinder that has a 201k-dot resolution and a built-in eye sensor to deactivate the LCD monitor during use. The Fujifilm S8400W comes with a lot of options that allow shooting in various conditions but also allow the expression of creativity. There are six different artistic effects, Manual Exposure mode, Scene Position modes, Face Detection, Dynamic Range (HDR) technology, Motion Panorama 360 and many more. 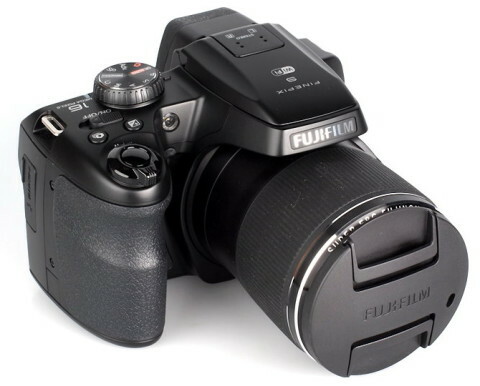 You can find more details about Fujifilm S8400W as well as a lot of sample photos on ephotozine.com website.